Sun Shinning Through The Glass-like Icicle. 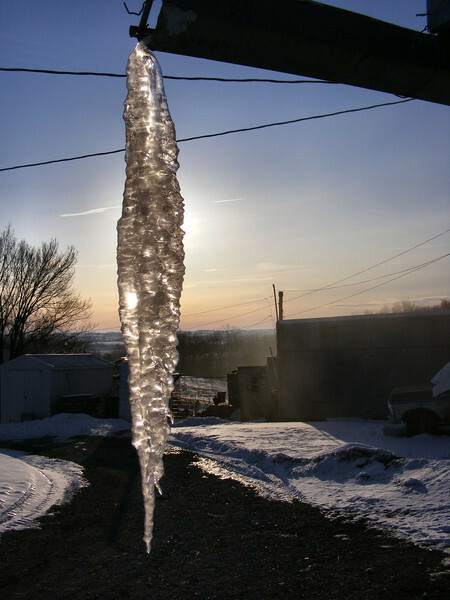 We don’t often get a big icicle on the end of the guttering there, but we did this year. We never get one there in the summer time, thankfully. We could use some summer now.